PSA builds the slow-selling C5 in Rennes. PARIS -- PSA/Peugeot-Citroen will offer workers at its plant in Rennes, France, early retirement benefits as part of plan aimed at reducing headcount at the site by about 10 percent. PSA will allow staff in Rennes who are at least 55 years old to stop working and still receive 75 percent of their gross salary until they turn 60, Pierre Contesse, a FO union official at the Rennes plant in Brittany, said. Unions agreed to the plan, which is aimed at encouraging the departure of about 500 employees, he said. This offer includes the opportunity to continue working elsewhere and specifically targets the Rennes factory, which has about 4,800 employees, because overstaffing means about 700 workers at a time are on furlough programs, Contesse said. Pierre-Olivier Salmon, a PSA spokesman, declined to comment on personnel issues at the plant. 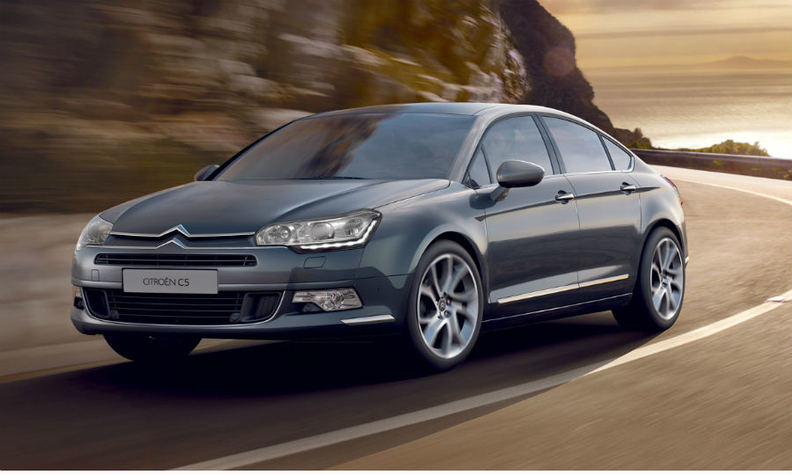 PSA builds the Peugeot 508 and Citroen C5 large cars in Rennes. European sales of the 508 fell to 18,979 from 27,256 in the first five months, according to research company JATO Dynamics. Sales of the C5 dropped to 8,425 from 11,876 in the same period. The program at Rennes is part of CEO Carlos Tavares' wider Back in the Race turnaround plan which aims to end losses in Europe. To cut costs, the company is offering part-time work incentives in France to encourage 3,500 older workers to leave before the minimum retirement age. PSA said on Thursday that up to 2,500 older French workers will leave the carmaker's payroll in 2014-15 as part of a deal struck with unions last year. The number is higher than the 2,000 previously anticipated by unions and reflects a bigger-than-expected uptake of the voluntary scheme, human resources chief Philippe Dorge said. PSA employs about 70,000 people in France. A separate buyout offer to a broader section of the workforce has drawn fewer volunteers, prompting PSA to double the financial incentives to reach a projected 250 departures this year. Under the deal with unions, PSA is also hiring cheaper young workers under temporary training contracts. The early-retirement offers come on top of PSA's plan to eliminate 11,200 jobs in France by the end of this year. The carmaker has also closed a plant at Aulnay, near Paris. A three-year labor agreement signed in October freezes pay and sets terms for work-hour flexibility for remaining employees. In return, PSA agreed to refrain from large-scale firings. Dorge declined to give targets or projections for the total number of job cuts under the savings plan. PSA has pledged to cut payroll costs to 12.5 percent of group revenue by 2016 from 15.1 percent last year, under the Back in the Race plan unveiled in February.